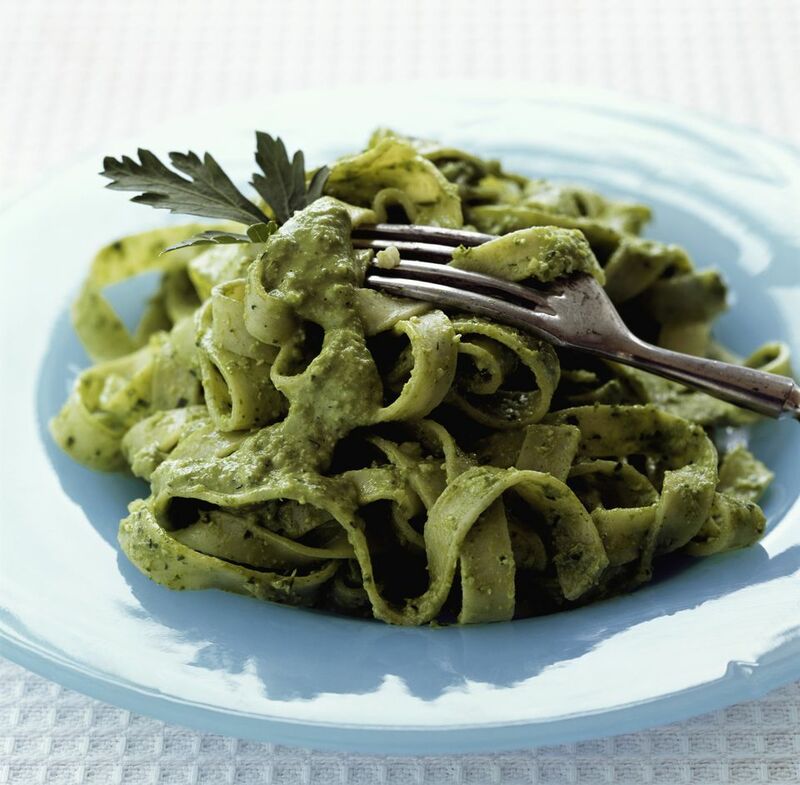 South American tallarines verdes (green noodles) have a green pasta sauce made with both spinach and basil, similar to a pesto sauce. The sauce also has lots of queso fresco cheese and is creamier than traditional pesto sauce. Serve these delicious noodles as a main course with boiled yellow potatoes and green beans or as a side dish to accompany steak or chicken. Sauté the onion and garlic in the olive oil over medium heat until soft and fragrant. Remove from heat and set aside. While onions are cooking, add spinach and basil leaves to a blender with the milk and process (working in batches if necessary) until smooth. Add cooked onions and garlic to the blender with the cheese and process, adding a little more milk if necessary, until you have a smooth mixture. Melt butter in the skillet that cooked the onions. Pour sauce from the blender into the skillet and cook, stirring constantly, for 3 to 4 minutes, until sauce is heated through and smooth. Keep sauce warm. Add pasta to the boiling water and cook according to directions. Drain well and toss pasta with the sauce. Serve warm.